"Do you want to go for a walk?" Ruth stood over me, standing close, an urgency in her voice, like the time was now. "Sure." I stood, making sure my things were settled and followed her outside. We were at a Choice Literacy retreat, surrounded by forests with trails and a glistening lake. Ruth and I wandered down a path and into the woods, getting to know each other the further we went. 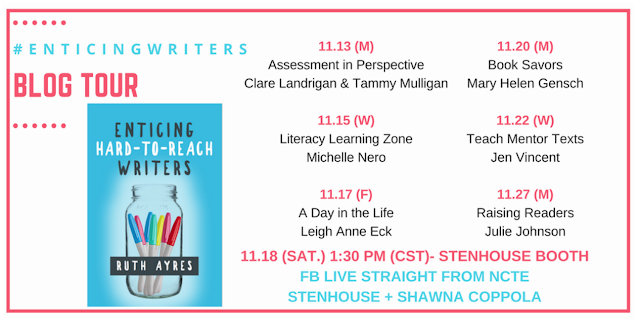 Just this weekend, I walked with Ruth at the NCTE annual convention but this time our feet traveled over the rain-soaked sidewalks of St. Louis. We know each other well now so our conversations are less getting-to-know and more what-do-you-think, what-if, and how-about-this? Even though the kinds of questions we ask each other have changed, the urgency is still there. Ruth is a determined woman and that's one of the many qualities I love about her. She sets the bar high for herself and others and she gets things done. Because Ruth is who she is, this book is a beautiful tribute but also a call to action. 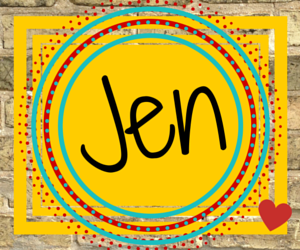 She shares how hard the work is, how possible it is, and how necessary it is. 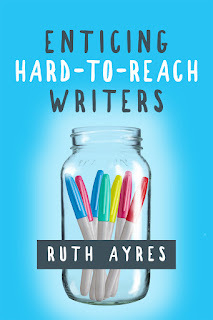 Weaving personal stories and professional experiences together in her new book Enticing Hard-To-Reach Writers, Ruth invites us to walk alongside her on this journey of teaching writing. Don't worry, she'll guide the way. "We are all changing. This is life - constant change. that some people can write and others can't. Everyone can learn to write. Everyone can put words on the page. 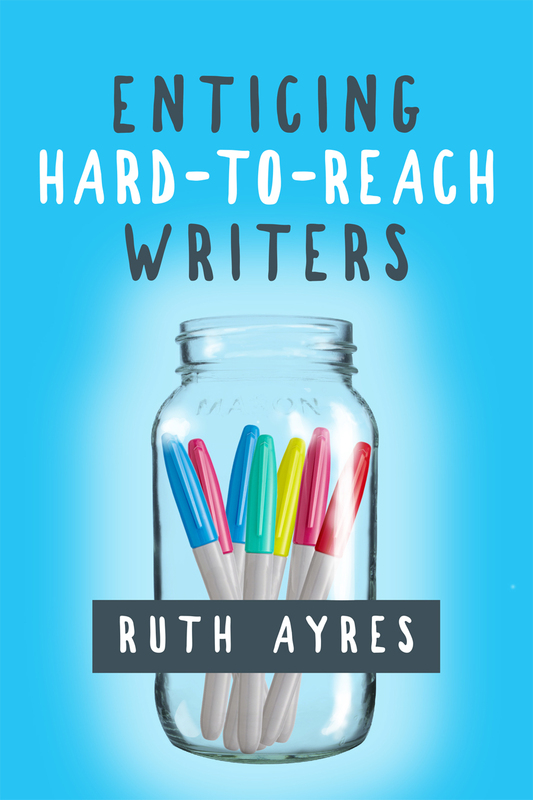 Enticing Writers Book Club - If you forward receipts to enticingwriters@gmail.com before November 30, you'll receive a free registration to Ruth's new course, Enticing Writers Book Club! Be sure to visit all the stops on the blog tour!